Worst bank in the UK might be one of the most hotly contested categories in any awards ceremony. Satisfied bank customers could probably be counted on the fingers of one hand. Of a careless sawmill worker. So kudos then to Barclays for emerging as clearly the worst of a very bad bunch, some of which are propped up by taxpayer cash. 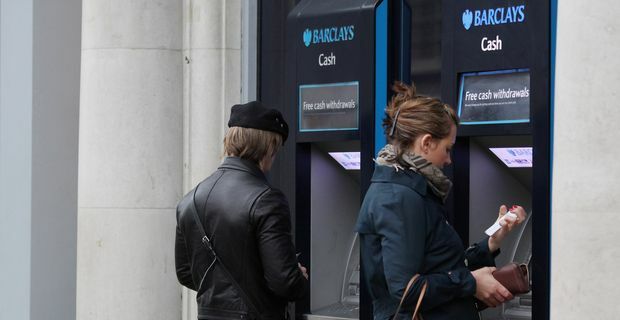 Barclays scored a miserly four out of 100 in a test designed to measure honesty and customer service, conducted by campaign group Move Your Money. With new legislation making it possible to change banks within a maximum of seven days, the group wants dissatisfied customers to express their grievances by changing banks. The poll marked banks in red if they failed on several counts. Barclays was joined by RBS, HSBC and Lloyds in the category of shame. The banks were classified in terms of customer service, culture, impact on the economy and ethics. Research from the Ethical Consumer body supplied data about the banks' records. Barclays had a high number of customer complaints and was implicated in Libor rate rigging and PPI misselling. Barclays was disappointed by the rating. A spokesman said: "We work hard to put our customers at the heart of everything we do and have taken active steps to ensure this happens," while trying to ignore the hollow laughter of anyone familiar with Barclays business practices. Laura Willoughby, the head of Move Your Money, said: "Banks want you to think they have changed. Our scorecard shows that many have not." In the past banks have relied on customer inertia and making it onerous to change banks, so that customers stayed with a bank for life. The new laws are designed to make shopping around for the best banking deals more straightforward. There were some more virtuous institutions highlighted by the survey, headed by the Cumberland Building Society. Also in the green for good category were Coventry Building Society and Metro Bank.